A small interview with Mim Grey, Roxette’s support for the upcoming UK shows, will be online over the weekend! If you have survived the amazing Bassflow remake, you may want to watch this interview with Per and Marie at Peace & Love from SVT1. Marie is laughing so funny, it’s contagious! Preview and download The Sweet Hello, the Sad Goodbye (Bassflow Remake) – Single on iTunes. See ratings and read customer reviews. 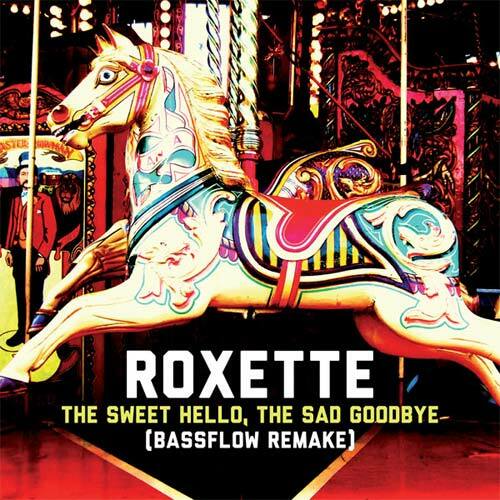 Go to Roxette Official’s Facebook page today between 1-3 CET to hear an exclusive preslisten of “The Sweet Hello, The Sad Goodbye Bassflow version”. Go to our Facebook page today between 13-15 CET to hear an exclusive pre-listen of the new version of "The Sweet Hello, The Sad Goodbye." There was a time when you recorded LP albums. The Sweet Hello, The Sad Goodbye? Bassflow (Peter Boström; the guy who wrote + produced Loreen's "Euphoria") has done a wonderful remake of "The Sweet Hello, The Sad Goodbye" (2 versions, one long, one longer...). SWR Baden-Württember has published this picture claiming this is the cover of the promo single for “Touched By The Hand Of God”. Thanks to RoxetteCafe.com for sharing this. Thanks to Petr Kulda for finding this.